The full, unedited responses for this question are available in this document Candidates Responses-Q5. Do you support the recent announcement of £15bn investment in road projects? If so, is this the best use for this money at a time when reductions in funding for local bus services are putting services at risk and there are legally binding carbon emission targets to meet? UKIP’s transport policies include scrapping HS2; opposing tolls on public roads and letting existing contracts for running toll roads expire; maintaining pensioner bus passes; requiring foreign vehicles to purchase a Britdisc before entry to the UK, in order to contribute to the upkeep of UK roads and any lost fuel duty; and ensuring that speed cameras are used as a deterrent and not as a revenue raiser for local authorities. Andrew welcomes the plans to build over 1,300 new lane miles on motorways and trunk roads to tackle congestion and fix some of the longstanding problems on our road network. When 90 per cent of journeys take place on our roads this work is vital to help people get on and get around. This £15 billion investment will dramatically improve our road network and unlock Britain’s economic potential. Andrew has long campaigned for a road solution in Glossop and is pleased that a start on that is included as part of this announcement. He understands people’s concerns about traffic; however the congestion in Glossop is constraining the local economy and is vital to help it and people prosper. Andrew also recognises the importance of other forms of transport. Government spending on cycling since 2010 has more than doubled compared to the previous four years including local investment: £374 million has been committed between 2011 and 2015. Ministers have also added an amendment to the Infrastructure Act which is designed to create a “cycling and walking investment strategy” with dedicated funding. More widely, the Department for Transport’s Local Sustainable Transport Fund (LSTF) has provided £600 million of funding to help local transport authorities to find solutions to meet the economic and environmental challenges faced in their areas. These include a variety of sustainable transport measures: 94 out of the 96 projects contain a cycling element; just under 50 per cent feature car sharing and car club schemes. In rural areas, the Government recognises the importance of buses but the old model of services is changing, and we need to ensure that as it changes people retain access to good transport. This Government has allocated £20 million in the past two years to 76 local authorities to support community transport solutions. The Transport Secretary has also recently said that he wants to do more to help community transport operators, and it is expected that he will say more on this very soon. Only in the last week the Government have given a grant to the Voluntary and Community Services Peaks and Dales in Buxton to buy a new minibus. Charlotte says that the Green Party opposes the new road building programme as it will do very little to provide a long term sustainable and affordable transport system for most people. The Greens recognise that the road network remains a vital part of our infrastructure and therefore needs to be maintained but that it does not need to grow. Instead, she wants to see the government put money into public transport, safe cycle routes and footpaths which will help reduce carbon emissions and support a more healthy society. Caitlin thinks there is a need for some new road schemes, but there needs to be a balance and better public transport must be part of that mix. That is why Labour would create a national infrastructure plan to integrate all large scale transport developments together. 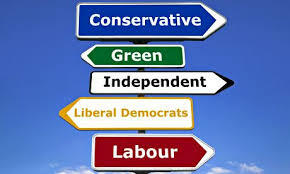 Labour would devolve regional transport decision-making, so that areas can bring together trains, buses, ferries and trams into a single network with smart-ticketing – promoting increased use of public transport and give councils power to re-regulate bus services, enabling them to safeguard routes that are an important lifeline to many communities in High Peak. In addition Labour would work with local authorities to take urgent steps to reduce the air pollution caused by road traffic, and in particular by diesel engines. Personally I would like to see a Labour government commit to continue to support the national and local air quality monitoring network and to meet the legal obligation to issue smog warnings so that vulnerable people can act to protect themselves. Stephen (who by the way uses buses every day) is “torn on the issue of the increased funding for road projects”. Reduction in congestion benefits not only the motorist but also bus users and the environment (cars use a lot less fuel when not stuck in a jam). However, this is juxtaposed against reductions in funding for buses and when considering carbon reduction targets it doesn’t stack up. A potential solution could be splitting the road project money between road projects that would do the most to reduce congestion and funding for buses.